Joshua Davis, Michael Shimmin and Mike Lynch performing for students at Elk Rapids High School. On Stage 4 Kids (OS4K) is a music education program that is bringing some of the top Michigan musicians to schools around the state. 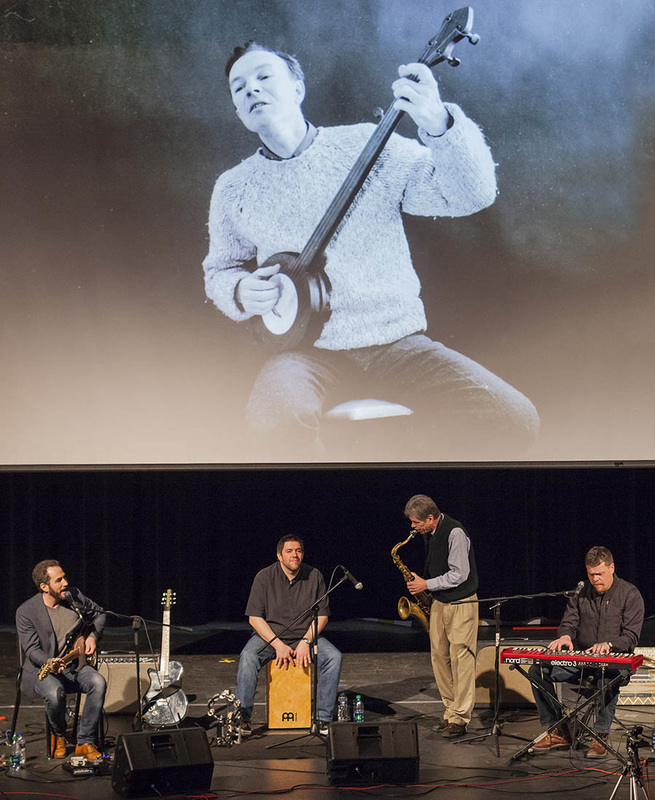 The performances feature a variety of short stories and songs from music legends like Woody Guthrie, Jack Johnson, Pete Seeger, Ray Charles and many more. The trios and quartets also introduce students to a variety of musical instruments and musical styles, ranging from Country to R&B and Cajun to Gospel. Students are encouraged to follow their dreams and participate in the arts in school and at home. The program is fast paced and there is a lot of audience participation. We had the pleasure of having On Stage 4 Kids perform for our students here at Leland Public School in March of 2015. It was, by far, one of the best assemblies I've seen in my 34 years in education. Joshua Davis and his two friends entertained our students for 3 one-hour concerts and connected with all levels of students from Kindergarten to Grade 12. Not only are they great musicians, they are great teachers. I would love to have them back in our building every year. If you have the opportunity to schedule them, do so without hesitation! to schedule a performance. more information about On Stage 4 Kids.